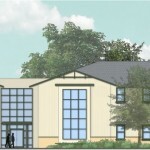 Stanford University (Stanford) undertook a construction project to replace existing Graduate Student housing facilities on campus. Officially named the Kennedy Graduate Residences, four residential buildings and a commons building provide a net increase of 362 new beds and related on-campus amenities, helping to alleviate the demand for additional graduate housing on campus. Construction took place in a student residential area that is adjacent to three primary schools and other campus facilities. Effective and timely project communications were essential throughout construction to keep students and the surrounding community informed about the project sequence and schedule of activities. The communications plan developed by Circlepoint included the creation of a project logo and templates for all communications materials, development and ongoing maintenance of a project website, and implementation of a project information line and email inquiry tracking and response system. Circlepoint also facilitated individual stakeholder and campus community meetings to inform the campus community, workers and surrounding residents about the project. The project was completed in fall 2014.